If you’re looking at digital pianos, there is probably a reason that you’re looking for one rather than a normal piano. Often times, where you live can interfere with purchasing 88 key weighted keyboards. Convenience is the main reason why we are seeing so many keyboards being sold in the world today. I created this guide to give you the most up to date products that are quality. There is a lot of information on the internet for digital pianos that is false and just people trying to sell you cheap products. What Is A Digital Piano? They are electronic keyboards that are built as the alternative to an acoustic piano. They are typically far more portable and less expensive. Electronic pianos use synthesized emulation or actual samples of real pianos for their sounds. The keyboard I am most blown away by is easily the Kawai MP11SE. It is a fantastic product that really isn’t too closely matched in my opinion. There are certain things that different brands do better than others in this department. Also, when you start to get up in price range to get a quality instrument, some of the pianos are going to be full workstations with built-in synthesizers as well. Something we will be addressing frequently will be the way the pianos feel on your fingers and the overall quality of their sound as well. I like to use headphones when I play mine so I can really hear the quality closely. Another factor can be weight, if you live in an apartment or a dorm, getting a piano in probably isn’t going to be the best option or even possible. The good thing is, digital pianos in this day and age are pretty fantastic. Kawai has been at the forefront for a long time now. The reason is simple, they make the closest sounding and feeling thing there is to a real piano. This digital piano comes locked and loaded with Kawai’s grand feel wooden-key weighted action that is second to none for the feel of a piano. If you’re looking for the best straight up sounding and feeling instrument, this is a great pick. It is hard to compete with the way the keys feel on the MP11SE. It is more expensive, but still not the most expensive digital piano you can purchase. The MP11SE comes with 129 effect types (reverb, chorus, flanger, phaser, tremolo, delay, etc). It also comes with an amazing Shigeru grand piano sound that is hard to top. My overall thoughts is that if you can afford this, it’s a win. Truly a fantastic keyboard that will last you your entire career. I’ve always personally loved Kawai keyboards and this keyboard is a good testament to that. Click here to view my favorite piano benches with storage compartments. These options are perfect for avoiding clutter with your gear. The Yamaha CP88 is brand new and boy is it a mean instrument. I was blown away when reviewing this because of their state of the art keys. I think the key-bed here might be my favorite keys currently available. The piano samples are crazy good and will leave you wondering how they pulled this off. I have a full product review of the Yamaha CP88 that I definitely recommend you reading. I believe this is the digital piano that puts Yamaha back into the game with the best of the best. I can’t say enough about the sounds and the key action with this keyboard. The Kawai ES8 is an instrument will give you the ability to have proper dynamics while playing that some pianos just can’t give you. This is another example of an instrument that isn’t going to give you any synthesizers or crazy sounds, but it will be the perfect piano if you’re looking to play classical or jazz piano on. Again, with Kawai, they just make great products and that’s exactly what you get with the ES8. This keyboard piano is one of the most renowned pianos and not just because of its price. There are very few key-beds that I like as much or more than Roland and this keyboard piano has one of them. The ES8 comes with the classic responsive hammer 3 key bed that is sure to give you the feel of a real piano. It comes with extremely real sounding pianos including the Shigeru grand. The key bed gives the pianist a heavier bass end and a lighter treble, just like on a real piano. I believe this is a great instrument overall and it has really stood the test of time pretty well. The Roland RD-2000 is currently the gold standard digital piano they have to offer. They put a lot of emphasis on a brand new sound engine and I think it really paid off. The classic Rhodes pianos on this are something that really stand out to me. 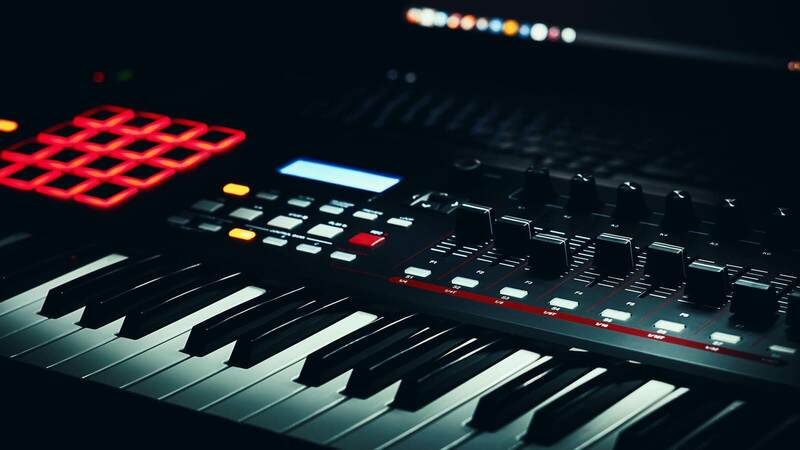 You can connect Via MIDI to your favorite DAW’s and Roland does a great job making their products MIDI capable. This is designed to work extremely well as a controller as it has a USB MIDI interface built-in. The sound engine is a win in my opinion as the piano and Rhodes sound better than most I have played. It comes packed with 1100 sounds that all sound really pro. The Roland RD-2000 is a big win. I believe it is pricey, but also quality. It’s hard to pick between this, Kawai, and Yamaha, but this definitely competes and will be favored by some. The Roland FP-30 is affordable and it is also quality. I’ve played on this before and when I did I was blown away. The action and feel of the keys feel perfect to me. I have always been partial to Roland because of their key-beds and response of the keys. I thought that this digital piano would be much more expensive than it is as well. The Roland FP-30 is the rival to the ever popular Yamaha P-115. I think that Roland FP-30 just feels and sounds much better and it is in a similar price range. This digital piano is unique in the sense that it also has Bluetooth connection abilities in case you want to use it as MIDI. This is becoming popular and I think Bluetooth is going to be really popular in the next few years with digital pianos and in the keyboard world in general. This Roland keyboard comes with a headphone jack for players that need to keep the noise down at times. I personally have always liked 88 key weighted keyboards with headphone jacks just for times when I was practicing a piece over and over and didn’t want everyone to hear my mistakes. This is a great option without breaking the bank. It is still expensive, but I realize I am showing expensive keyboards so I wanted to present some options that aren’t crazy expensive. The Yamaha P-125 is on the cheaper end for a really nice instrument. This has fully-weighted keys and a CF sound engine with a sound engine that reproduces the sound of the Yamaha 9 Concert Grand piano. The Yamaha P-125 features split mode so you can split the keys and have more than one sound at once. This is a brand new instrument and having a keyboard with newer technology in this price range will go a long way. With audio equipment, you typically do get what you pay for and this is a good example of that. It also comes with MIDI/USB capability for recording or writing music. Most keyboards now have MIDI and I really recommend picking one that has it. Something nice about this is that it is very sleek in the design. Finding a digital piano that is light and sleek makes for a more convenient experience if you ever have to move it around. 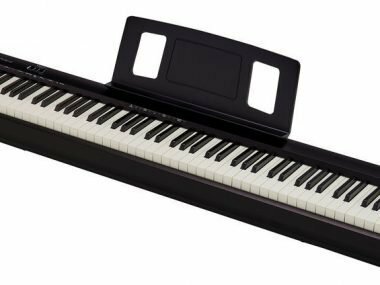 This 88 key weighted keyboard comes with the smart pianist app which allows you to connect your phone or tablet to your instrument to control it. I really like the design and portability with the Yamaha 125. You get great sounds with some good key-action with this keyboard. Let’s take a look at some specs below. Over the last 20 years, Nord had always been the recommended touring digital keyboard and it hasn’t been until recently that the other brands have caught up. One bad thing about Nord’s is that they are extremely expensive, and this is just that. The Rhodes sounds and the Organs are very high end and sought after, but over the years the competitors have also delivered on this, as well as also exploring midi controllers with the rise of laptops. Nord gives you a quality product and Stage 3 is going to give you everything you need in a digital piano. I am going to receive some backlash here, but overall I would recommend going a different route. Nord’s are great, but I believe they are a bit overpriced and other companies are starting to match them for a much smaller price. Let’s take a look at some of the specs of the Nord Stage 3. The Yamaha P45 is a fantastic instrument that comes with weighted keys. I included this only because I wanted to also have a couple options that aren’t super expensive. This instrument is fantastic and you could use this all the way into the advanced level. If you are pretty sure that you won’t buy an 88 key weighted keyboard and quit right away, this is definitely the one to purchase. This Yamaha digital piano is mentioned as a beginner piano, but that’s more so because of the price range. The quality is just surprising for the price. I recommend the P45 for anyone looking for a quality instrument that will last them until they are ready to purchase a piano or upgrade. This isn’t an instrument that you will immediately outgrow and that’s why I recommend spending a little more money to get the P45, than some of the other beginner keyboards. I believe this is a good look for beginners. This was included as I feel like it’s quality up to a certain point. It doesn’t compete with any other digital piano on this list, but I wanted to add it in here just in case. Let’s take a look at some of the specs on this instrument below. They strive to have the closest sound and feel to an acoustic piano as they possibly can have. All of the main brands that make 88 key weighted keyboards compete with each other by trying to get as close to this as they can. Here is a break down of the best brands available. The action on a key-bed is extremely important when looking at these instruments because this is what gives the musician a piano feel. The weight of the keys is also important because this is going to be where the resistance comes in play when you press the keys down with your fingers. Some of the keyboard manufacturers make key-beds to feel like real ivory. Cheaper electronic keyboards are going to have cheaper feeling keys and typically lighter keys as well. The budget pianos are sometimes going to come with semi-weighted keys. These are key-beds that are going to be the in between for serious pianists and beginners. They’re not going to be as heavy as a weighted key-bed. What Determines The Quality And Quantity Of The Sound? They typically don’t come with a ton of sounds. They build these 88 key weighted keyboards to focus on the quality of the sound, rather than the quantity of the sounds. When you buy a digital piano you want to focus on how good the acoustic piano sounds are. This will totally come down to preference. What one musician loves, the other musician might not. The quality of the speakers on your instrument is important. We will mention the wattage on the speakers for each 88 key weighted keyboard listed. This will generally determine how loud your keyboards can get. The lower end of the instrument will be more pronounced with larger speakers. There are options for volume on your instruments though. If you want more sound than what your instrument can give you, you can buy a nice set of headphones or you can buy an amplifier. To do this your instrument will need external outputs so you can plug them in. Most also come with a headphone jack and we will mention which ones do. Typically, these pianos will come with a sustain pedal input. Sustain pedals are important because they allow you to hold notes or chords out by using your foot. As you get more and more advanced, you will be using this pedal more and more often. The damper pedal comes in handy if you’re looking to be quiet while playing. Maybe you live in an apartment or a dorm room. It makes it so the notes don’t vibrate as much when the hammer hits in the string on a typical piano. 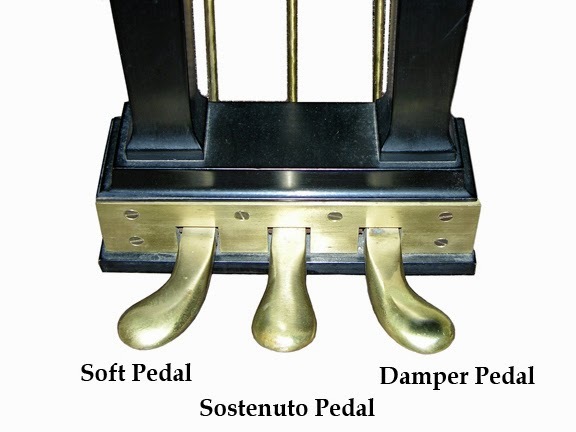 The “soft” pedal alters the timbre of the piano. Some of these pianos can come with built-in piano stands and also they can come on their own. For these, you will want to purchase a nice keyboard stand. Piano weight will be the main thing to focus on for buying a stand. You want to look at the weight of what you’re buying and just make sure the stand you buy can hold it. Piano stands are becoming more and more durable, so you will notice they won’t be too expensive. There are some that are built to look just like acoustic pianos. The thing with this is they might be a little bit more expensive than the average digital keyboard. We have pictures of each keyboard below to show you what they look like. These pianos typically are known for producing their own sound, which is why they come with built-in speakers. Most of these pianos will have an output so if you’re looking to play shows or just plug into an amplifier with. Keyboards that are on the nicer end will come with 5-pin MIDI for connecting or controlling computers. If you want a digital piano that can connect to a computer and access more sounds, you will want this and a USB output. The higher end digital pianos can also come with the mic input, which allows you to plug a microphone in and sing through your instrument. Some 88 key weighted keyboards come with additional features like metronomes and teacher-student mode. A Metronome is important for players who are looking to develop their timing skills. The higher level you go, the better your rhythm becomes. The teacher-student mode is basically accompanied mode where you are learning directly through your electric. Click here to view my favorite metronomes on the market. Electronic pianos come with built-in effects such as flanger, reverb, delay, tremolo, and modulation. These effects allow you to add beautiful textures to your sounds by tweaking them to your liking. This is fun when you start to learn how to add these effects. Yes, you can tour with them. It really depends on what type of band you play in and what type of music you’re needed to be playing. These are quality instruments and some of them have a lot of different sounds to pick from. The Nord series was one of the most common 88 key keyboards that musicians would travel with for a long time. 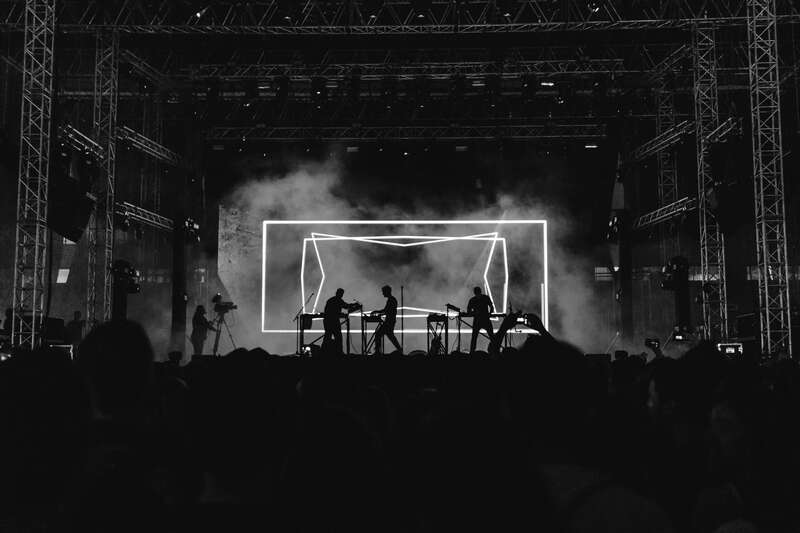 Now that more and more digital pianos are coming out and with the addition to MIDI controllers, Nord’s aren’t as popular for touring musicians as they were. Even the best instruments can be limited when it comes to sounds that you would want to use in a band. However, if you’re a musician who cares about the feel of the keys and want to just use your instrument as a MIDI controller then I would recommend getting a workstation. The workstations have pads that you can program to switch to different synths for you. When playing music live, you want to make sure you have a lot of different options and aren’t limited in sounds. Something some musicians do is they bring multiple keyboards. If you have a couple synth’s with you, then using a digital piano would make perfect sense for certain songs and parts. Remember that these instruments can be heavy some if you are going this route for touring, you will want to find something that is quality, yet still light-weight. The Roland Fantom FA-08 is a good choice because it has a ton of sounds and is only 35 pounds. The more pads and functions that are on your keyboard, the better for touring. If you are touring, your instrument will take up space on the stage. If you want to be set up on the stage where you were during soundcheck, but have to take your gear off for the next band, use colored strike tape to put down and mark exactly where you are. This looks professional and it saves you the hassle of not being where you were during soundcheck. If you’re spending a decent or high amount of money on a weighted keyboard, I recommend getting a case for it. These are durable, but you don’t want to be putting it in the back seat of your car on the way to gigs. This looks extremely amateur as well and the venues won’t take you seriously. If you’re just doing a small amount of touring, then touring with a soft-case could be acceptable. If you’re doing substantial touring and putting your equipment in a trailer, I would highly recommend getting a hard case then. So much stuff moves around that you wouldn’t expect in the trailer and electric keyboards can break if something heavy falls onto them. It is wise to use foam inside your case if your 88 key weighted keyboard isn’t fitting in the way you want it to. Sometimes the cases will feel a little big and if they do you can stuff foam in there for extra protection of your instrument. Also, if you’re touring for a long time it would be wise that your keyboard case has wheels so you’re not lifting something so heavy all the time. There is a difference between digital pianos and keyboard workstations. Keyboard workstations are basically gigantic computers that give you the ability to record directly into them. An 88 key weighted keyboard isn’t going to give you as many features like a workstation. However, you can use a USB or MIDI cable to connect your instrument to your laptop and record using a DAW. You can also use your instrument as a MIDI controller and access unlimited sounds by doing this. I own a keyboard workstation and a digital piano and I use them both, it’s all about the mood and preference of the musician. 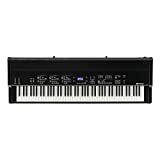 How Are The Digital Pianos Ranked Compared To On Other Websites? Our goal is to breakdown products and do reviews that are 100% non-bias, current, and not just Amazon best sellers. Many of these digital pianos we have played and the products that we haven’t played on we have done countless hours of research to bring you the best knowledge on the internet. It is extremely important to have weighted keys on your keyboard. Some of the cheaper instruments do not have weighted keys. Having your kid or a beginner learn on an 88 weighted key keyboard will be beneficial, but it not absolutely needed right away. The big plus to learning on a weighted key piano is that it will really help your finger dexterity and strength. I learned for my first couple of years on a cheap keyboard that didn’t have weighted keys and then once a week I would play on a real piano for lessons. I didn’t start out with weighted keys, but when I made the jump to a weighted key keyboard it really helped me. Kawaii has been making keyboards since 1927. Kawaii is another company that is very advanced in the electric piano world. The key-action on Kawaii products is something to talk about. I played on a Kawaii as a kid starting out and I still remember to this day the way the keys felt on my fingers. Roland makes some really good products. Roland is a company that makes quality products all around. What I really like from a Roland digital keyboard is the key-beds. The key action is very good for a keyboard and the keys feel extremely real. The keys feel like real ivory and they have a soft, smooth texture to them. 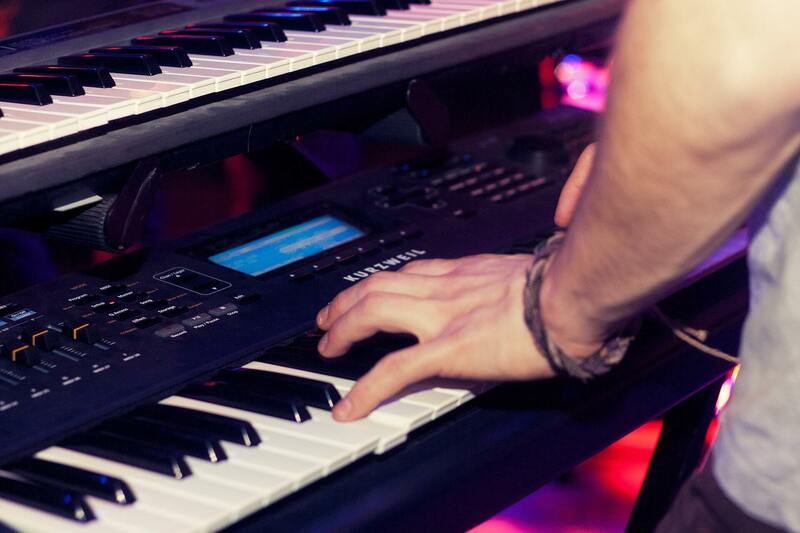 If you’re looking for a keyboard or synthesizer, check out the best Roland Keyboards. Not my favorite digital pianos to be honest. I don’t believe have bad products, but I don’t believe they compare with the industry standards. I believe Korg makes great digital pianos. They have really nice key-beds and their sound engines are always top of the line. Most people in the industry would agree that this is a company that really makes great products. Digital Piano For My Kid Or A Keyboard? This totally depends on how serious your child is about learning to play. They can get expensive, so they aren’t often purchased for beginners. However if your kid is a little bit older and is serious about playing, then a budget digital piano would be the way to go. Learning on an 88 weighted key piano would be good for the dexterity for your kid. Learning on a keyboard that doesn’t have weighted keys isn’t the worst thing in the world. If you’re worried about your kid playing piano for a long time, then a keyboard makes sense. It’s a good way to feel out the piano world for your kid. The keyboards today are getting so advanced that a keyboard today is better all around. Keyboards also will typically have more features and sounds than an electric piano. This is because they are built to be a stand on their own replicas of acoustic pianos. Instructors are asked the question if their student needs an 88 key weighted keyboard all the time, and their response is usually, “not right away.” Just like anything else, you want to make sure that you’re spending your money wisely in the beginning. These will be cheaper, but still, give you a nice weighted key-bed. If you have a serious instructor they will probably also advise you to go the digital piano route a little bit down the road. Maybe after 1-2 years of consistent playing, your kid should also begin to practice on a digital or real piano as they get older as well. The way the keys on a piano feel on your fingers is really important. Players who began taking lessons originally on an acoustic piano will really want the action and feel of the key-bed to be as realistic as possible. These instruments shoot to emulate acoustic pianos and one of the ways they try to do this is by having the keys weighted and feeling like a real piano. The good thing in the keyboard world right now is that their key-beds have come a long way. Different companies make better key-beds than others and musicians prefer certain brands over other brands. This is all just a preference and it’s always going to come down to what kind of feel the pianist likes. Many pianists will prefer whatever feels the closest to the real thing. When you press down and play a note we call this action of your key-bed. This is because all key-beds are a different feeling and have different actions on them. The action refers to how the key plays when you strike it. Some of the keyboards have an action that doesn’t feel realistic. Responsiveness is really important with the action of your keyboard as well as the weight of the key-bed. My pick overall is the Kawai MP 11SE and for the best budget digital keyboards it is the Alesis Pro 88. If you want this helpful or have anything to add, please do in the comment section below!